St. Xavier’s Senior Secondary School, Delhi-54 is a Christian minority school established by the Society of Jesus in 1960. 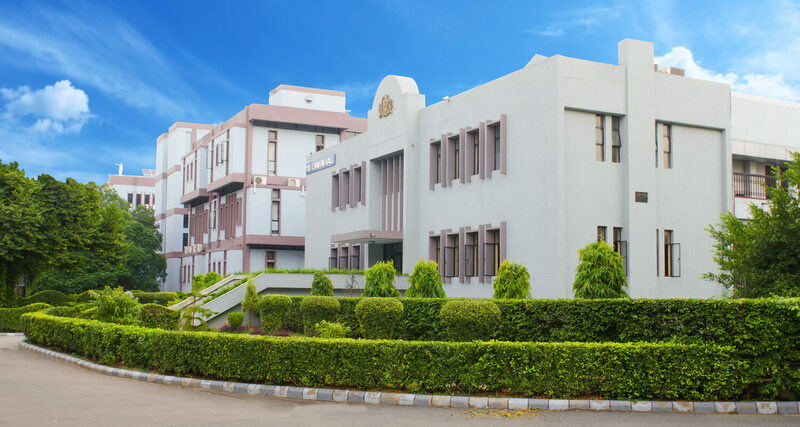 The School is recognized by the Directorate of Education, Delhi Administration and is affiliated to the Central Board of Secondary Education. St. Xavier’s School is run by the Society of Jesus, an international Christian religious order that follows the teachings of the Roman Catholic Church, founded by Ignatius of Loyola in 1540. The members of the Society are popularly known as the Jesuits. The Society is headquartered in Rome. The Jesuits are primarily known for their work in education (like founding schools, colleges, universities and seminaries), intellectual research, and cultural pursuits, and for their missionary efforts in human rights and social justice. They are one of the largest educational bodies in the world. From their humble beginning in Europe in 1540 they have etched their presence in 112 nations on six continents. Today perhaps the best known education in India has been imparted by the Jesuits. More than 250,000 students belonging to every religious, linguistic and socio-economic group receive their education in the Jesuit educational institutions all across the country. St. Xavier’s is a Christian minority school. It not only gives preferential admission to the Christian/Catholic students but also makes a constant and sincere effort to inculcate Christian ethos and a secular outlook in its students. While all the students are provided with regular value education, special attention is provided to the Christian/Catholic students in imparting Catechism classes. Scripture reading is encouraged among the students and the students recite the Lord’s Prayer with devotion. Christian devotional songs are sung at the morning assembly and Holy Mass is celebrated specially for the Catholic students on all first Fridays of the month and on Feast days. All these help in faith formation of the Catholic students. Without exception all Xaverians imbibe the Gospel values while at school and become agents of social changes in their later life. Though St. Xavier’s, Delhi was started as a residential school in 1960, today it has become a true neighborhood school, educating 4383 students (2737 boys and 1646 girls) from the Prep Department to Class 12. Each class has six sections, each section having an average number of 52-56 students. Hotel Cecil complex, a Boys’ only Boarding school, an Exclusive School for the Elite class, Introduction of Co-education, the School becoming Socially Inclusive, Change of the Medium of Teaching, Drastic upgradation of the School’s infrastructure at the beginning of the New Millennium, a modern technology driven school – these are some of the landmarks on the fifty five year journey of our school. The present St. Xavier’s School campus used to be a British Five Star hotel named Hotel Cecil, one of the three oldest and most famous and popular British Five Star Hotels of Delhi in 1950’s. It was started in 1904 by Mrs. F.E. Hotz, mother of the American siblings Mr. Hans Hotz (the then Managing Director of the Hotz Hotels in India) and his sister Ms. White. In the post independent Delhi, Hotel Cecil was known for its homely environment. It had large apartment like suites, which made it a favourite of many European families that visited India in those days. In 1950’s Hotel Cecil was known as the 'Country Club' because there were hosts of beautiful flowers all over the hotel complex. It was “quite popular among the British women who would often come here for idle gossip in the afternoons and would return in the evenings with their husbands for dinner and dance.” (As reported by the Hindustan Times dated August 31, 2011). The lawns were well manicured and the Neem trees looked absolutely majestic. There were numerous shady trees and a variety of flowers like Rose and Dahlia on the campus. By 1958 the Management of Hotel Cecil ran into labour troubles and they decided to sell the property to someone who would look after the campus and not commercialize it. Coincidently in 1958 Patna Jesuit Vice-Provincial Fr. Edward F. Mann, S.J. appointed Fr. Frank Loesch, S.J. to look for a suitable site to begin a school in Delhi. The then Archbishop of Delhi Rev. Joseph Fernandes was more than happy to invite the Jesuits to Delhi. It was Fr. James Tong S.J. (the Kentucky born Jesuit who was the chaplain of the Catholic Hospital Association of India and had been working in Delhi for a long time) who discovered that the Cecil Hotel was up for sale. The Hotel came up for the consideration of the Jesuits as a possible site for the new school in Delhi. This location was more suitable for their purposes and the Archbishop and the Apostolic Internuncio were very much enthusiastic about the Jesuits purchasing it. Fr. James Tong S.J. then initiated the negotiations between the Patna Jesuit Society and the Cecil Hotel Management for the transaction of the property. In June 1959 Fr. Loesch began discussions with the Cecil owners. Finally, on 1st November, 1959 the Cecil Hotel ceased to function and the property was transferred to Delhi St. Xavier’s Society on 21st December, 1959. St. Xavier’s, Delhi was blessed and inaugurated on 6th January, 1960 by the most Rev. James R. Knox, the Apostolic Internuncio in India. With his architectural competence Fr. Loesch, S.J., who was its first Rector, gave the Hotel building a new shape where the lives of many generations of students were to be destined. He got the hotel complex converted into a modern school and built the senior as well as junior school buildings by 1969. Initially Xavier’s was a boys’ only school and boarding facilities were provided to the students. By 1970’s it had become a school for Delhi’s elite class. In 1971 the boarding facilities were closed down to provide educational facilities to a large number of students from Delhi. Gradually it became a true neighbourhood school. The objective of introducing neighbourhood policy was to help the students to use the school facilities even after school time or on holidays. The parents too found it easy to come to school and meet the teachers of their wards. With their General Chapter of 1974, the Jesuits developed sharper awareness towards the structural dimensions of injustice in the human society and committed themselves to do what they could, to create a just and humane society. It became the policy of the school to create an egalitarian society by providing quality education to all strata of the society. This includes those without economic means, the handicapped, the marginalised and all those who are, in any sense, unable to live a life of full human dignity. In Jesuit education this option is reflected both in the students that are admitted and in the type of formation that is given. From 1980 Xavier’s gave up its elitist culture of being an exclusive school and decided to be an inclusive school where preferential admission was given to the children from the socio-economically weaker sections of the society. Nearly 25% of the students are now from the poor families in the neighbourhood who cannot otherwise afford quality education.